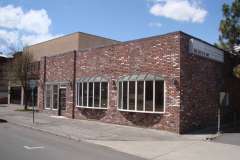 We focus on the sales, leasing, management & development of commercial real estate in Central Oregon. Our geographic area of expertise centers on Bend, Redmond, Sisters, Madras, Prineville & La-Pine. As trusted commercial real estate advisors, we differentiate ourselves from other firms by having the resources & reach of a larger company, yet maintaining a personable, service-oriented boutique firm. With our superior knowledge of the Central Oregon market, our team of commercial brokers averages 250,000 square feet of closed leases each quarter, covering a full range of property types. We understand what it takes to negotiate successful leases where the Landlord maximizes cash flow and the Tenant is satisfied with a location and space that will support the success & growth of their business. Fratzke Property Management is Central Oregon’s premiere full service property management company. It is our experience that allows us to understand that your income property is much more than a simple investment. We take care of your property, your tenants and your finances.